If you haven’t noticed yet it’s a bit of a Halloween week on ALO this week and since it is October there are few things that I love more than hot baths. This year Lush has a great range of Halloween products from soaps and bath bombs to fabulous gift sets for those of you that want more than just one halloween themed bath. 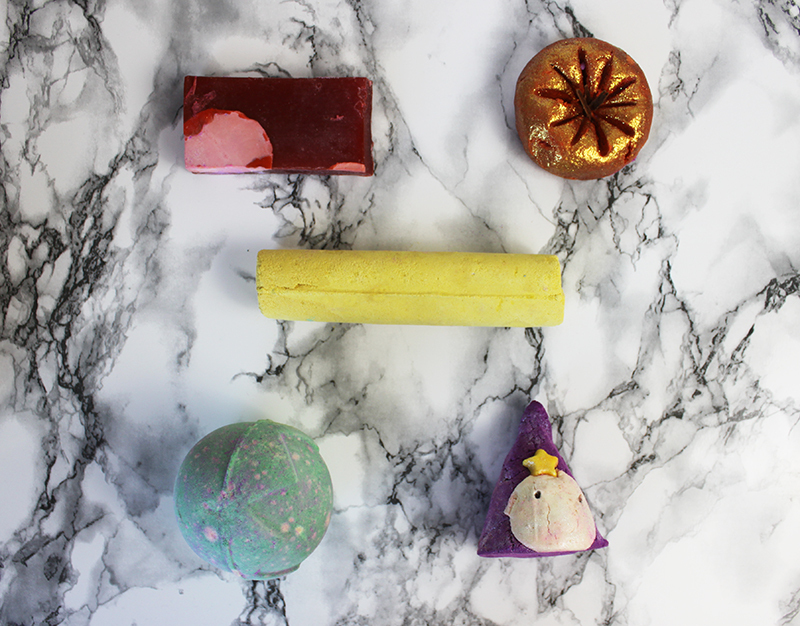 My personal favourite has to be the Sparkly Pumpkin Bubble Bar– it’s just halloween perfection! It has quite a citrusy smell but remains still quite warming, it turns the bath water orange and adds a sparkle to the night. However I have heard that you do use this bubble bar in the evening you should be sure to be out of the bath by midnight before it turns back into a pumpkin. Since I am all about the bubble, I also have a soft spot for the Wizard Bubble Bar which magically fills your bath with bubbles and essential oils. If you prefer Bath Bombs the Lord of Misrule is a great one to watch and to relax with. It has a spicy scent, a green exterior and a pink centre making it one of the more interesting seasonal offerings- I also love that it has popping candy inside. If baths aren’t your thing (or if they are), try the Fairy Ring Soap which is made with fresh mushrooms! The mushrooms are believed to increase blood circulation, be antibacterial, whilst the Jasmine and Ylang Ylang Oil give it quite a sweet/floral scent. And if Halloween simply isn’t for you, celebrate Guy Fawkes night instead with the Sparkler Bath Bomb. This smells heavenly and like roses, which surprised me as it is yellow. It spins around in the bath, fizzes and crackles whilst you watch your very own sparkling display. The last of the Halloween product is Northern Lights which sadly smashed in the box (which is why all the other products are purple) but the online reviews are great despite it being quite a fragile one. Have you tried any seasonal Lush Products recently? That pumpkin Bath Bomb is such a lovely idea! I would never want to use it as its so pretty! I have seen several lush hauls and posts and I can’t wait to get my hands on some of the bath bombs! I love Lush! The pumpkin one is so adorable! I love their Halloween and Christmas stock, they're so amazing! The Pumpkin Bubble Bar looks so cute! Your photos are lovely too. 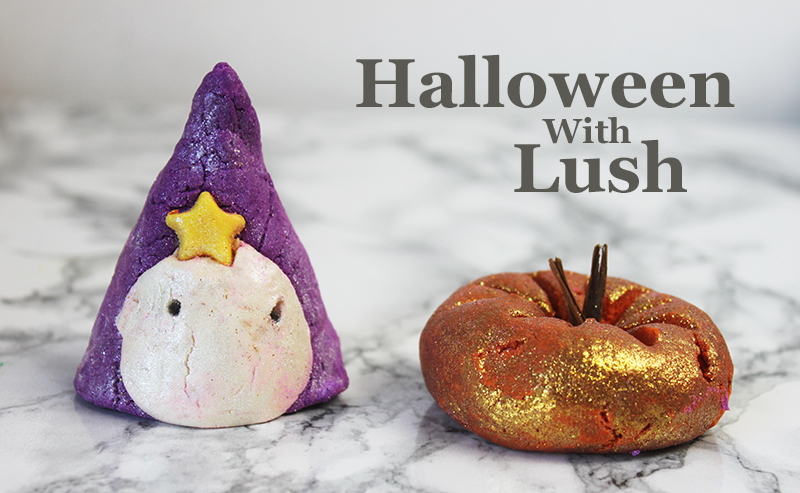 I love the Halloween collection from LUSH its so so pretty! I went to lush the other day for some cleanser and I didn't even get time to sniff the halloween stock, I think I may have to order!.